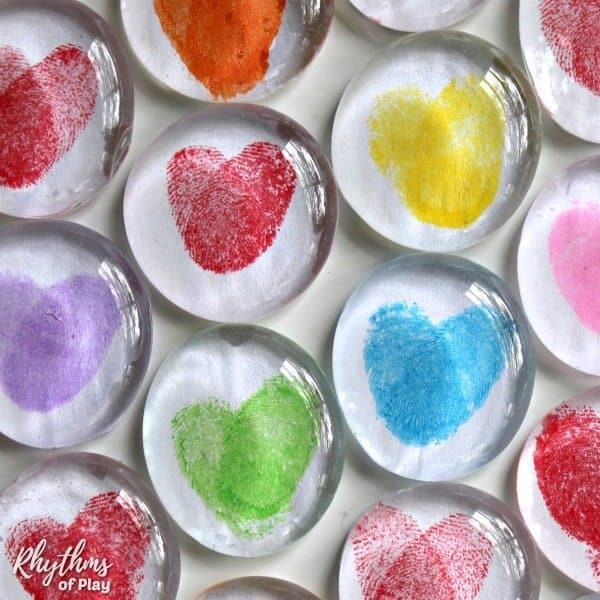 DIY Thumbprint Heart Glass Gem Magnets are a cool heart craft and homemade gift idea that kids (and adults) can make. 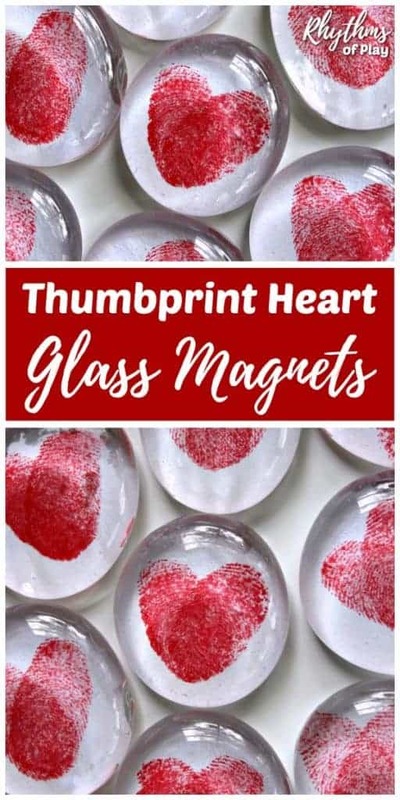 Thumbprint heart magnets are a fun thumbprint heart craft perfect for Valentine’s Day, Mother’s Day or Father’s Day. Simple keepsakes like a thumbprint heart are always a favorite with friends and family. Make some heart magnets with your children today! 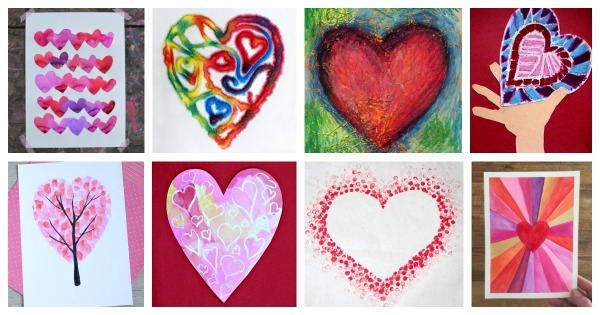 Gather the following simple craft supplies to make Thumbprint heart magnets. 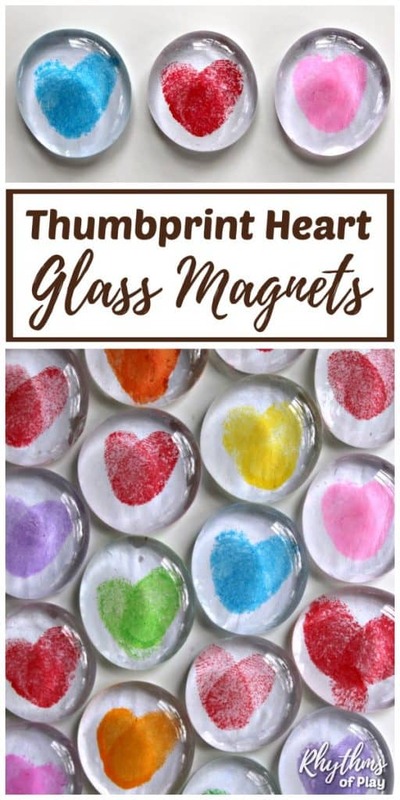 Make thumbprint hearts and turn them into a glass gem magnets following the easy step by step directions below. 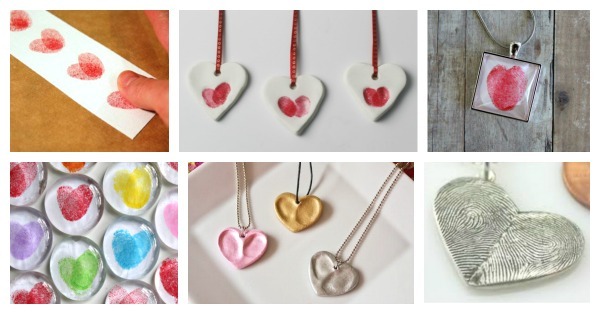 You can also make easy fingerprint or thumbprint heart necklaces. Click on the link for the tutorial. 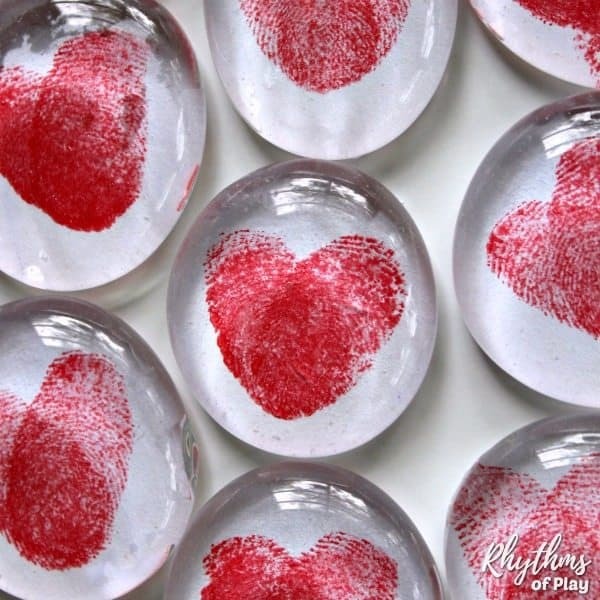 A fingerprint or thumbprint can be used to make a heart to use to make a fingerprint art magnet. Use the easy directions below to make a fingerprint or a thumbprint heart. Press thumb into a finger ink pad. Gently press thumb with ink onto paper. Press thumb into ink pad again to reapply ink. Tilt thumb slightly and press down again to make thumbprint heart art. Place a drop of clear-drying glue on the back (flat side) of glass gem. Put a glass gem on top of the fingerprint heart, glue side down. Use small scissors to trim and cut away paper around the glass gem. It doesn’t need to be perfect. If any paper lifts away from the glass gem you can glue it down in the next step. Use a foam brush to paint clear drying glue on top of the heart art paper on the back of the glass gem. Go over the edges of the paper to make sure they are glued down. Place magnet into the glue and allow to dry overnight. 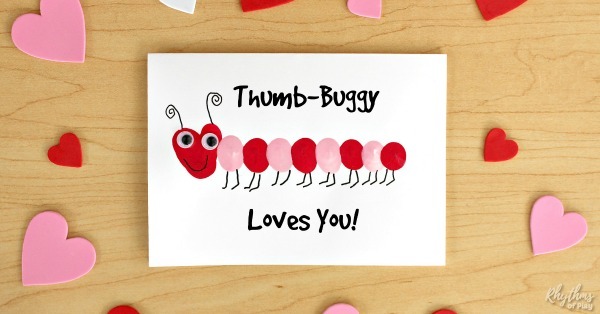 Make Thumb-Buggy fingerprint love bug cards to go with your thumbprint heart magnets. We have even provided message ideas for Valentine’s day, Mother’s day, and many other occasions. We have rounded up a whole slew of thumbprint and fingerprint heart craft and gift ideas you are sure to love! For even more heart craft projects and heart craft gift ideas, check out the ideas below! Thumbprint heart magnets are a fun thumbprint heart craft and gift idea friends and family, LOVE! Mom, dad and the grandparents always love handmade gifts from the children that they love. Heart magnets make an easy gift idea kids can make! More fun heart gift ideas are easy thumbprint heart necklaces and thumbprint heart keychain charms. You may also like DIY Photo Necklaces or these other amazing DIY gifts for him or her. Don’t forget to check out our ultimate family gift guide with DIY and ready-made gift ideas for the whole family and these beautiful gift ideas kids can make. I love this it is so neat! Where did you find the gems? Are they the ones for floral? I tried this over the weekend and all the glass gems came off. They came completely off the glue, cleanly. I’m so upset after spending hours doing the thumbprints with my daughter. I followed the directions and even tried two types of glue (an all purpose craft glue and mod podge) and two types of paper. Any suggestions? I am so sorry that you have had so much trouble, Jessica!! I would be upset too! That’s not what we experience at all when we make thumbprint heart magnets and we have made them several times. We used cardstock and Modge Podge. Maybe you used too much Modge Podge, or maybe the glass gems needed to be washed first because there was something on them? I’m at a total loss!